It’s time for MACC (Miracles of Adoption Christmas Campaign) which was originally called Angel Tree when I started following it back in 2012. The premise is that waiting children are sponsored over the Thanksgiving and Christmas season, ending new years day to bring individual attention to little in overseas orphanages who can easily become such an ambiguous cause if not talked about specifically. There is of course always much debate over if the young children in orphanages should even have photo listings before adoption commitment, some countries absolutely prohibit showing children’s photos which can make raising funds for their future adoptions quite a bit of a challenge. The goal is to raise upwards from $1,000 for That Child. Two years in a row I sponsored a little boy named Kolya. 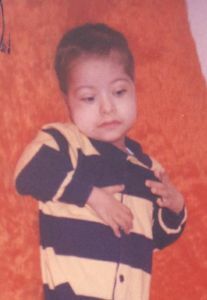 The third year I intended to signed up for raising 1K, he’d died and his fund had been gifted to another boy with Down Syndrome waiting in the same country. My heart was torn into so many pieces and I really was brought to the brink of wondering if raising a thousand meant any more than donating a dollar to that child’s “future adoption” Kolya never knew anyone knew about him, it could be he wasn’t even able to see beyond his day to day minimal care or reason anything as there was nothing else to compare in his perceptions any other reality to that which he lived and died in. While I cried over the loss of Kolya, I knew too that it was because of him that I needed to sponsor another child. Last year I picked a boy and girl sibling set. This year that set has been split up, I’ll apply to be Miracle Maker for the remaining child who has severe epilepsy and just really is not doing well. When I say that there are many ways of being a sponor I mean this: Some warriors go all out, setting up an awareness fundraising table at the mall selling baby booties and washcloths to profit their MACC child to organizing a spaghetti feed while others get their church to pray and share on FB a few times. Online auctions is another way pull in a bit of money for building adoption funds. The questions I get asked is, “If this is so great, why haven’t you adopted? !” Simple answer is that God’s plan doesn’t include that for me now, maybe ever, but He sure can use me to bring awareness to the need of orphans even aid in finding the perfect placement for a little one near to my heart. Through all the changing tides that my life has taken, either written or not, adoption is one that I forever come back to here. My hands are always comfortable typing out words on this subject, I can have the balance of peace, plea, grief and sorrow safely and come out with a smile knowing that God sees all these little kids and takes care of them in his own timing and perfect plan. 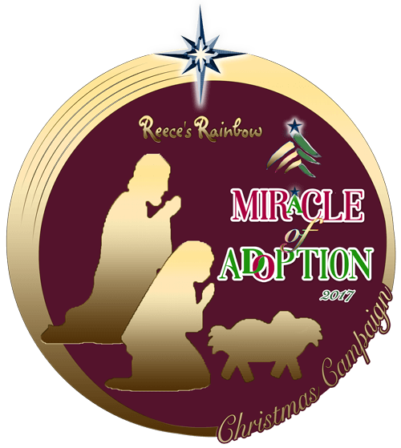 I’ll announce shortly which child on Reece’s Rainbow I’ll be participating in the Miracle of Adoption Christmas Campaign (MACC) with. This entry was posted on Saturday, September 16th, 2017 at 1:46 pm	and is filed under Adoption, Angel Tree, Faith and Hope, Scarlet. You can follow any responses to this entry through the RSS 2.0 feed. You can leave a response, or trackback from your own site.